As an Ayrton Senna fan, I recently wondered when Senna was “known” for the first time. 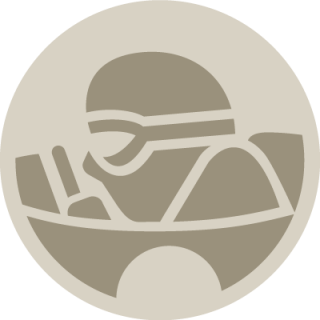 Yes, I know he raced in karts from a young age, and moved up through the ranks of Formula Ford 1600, Formula Ford 2000, and Formula 3 competition with lots of success. But many drivers have done the same. It was 1984 and Senna had just stepped into F1, finishing a strong third on his debut before retiring from the next two races. From the get-go, it was clear that he was an ambitious, young, aggressive driver who had dreams—but his Toleman was not sturdy enough to beat the others. He was the youngest driver on the grid at 24 years old. 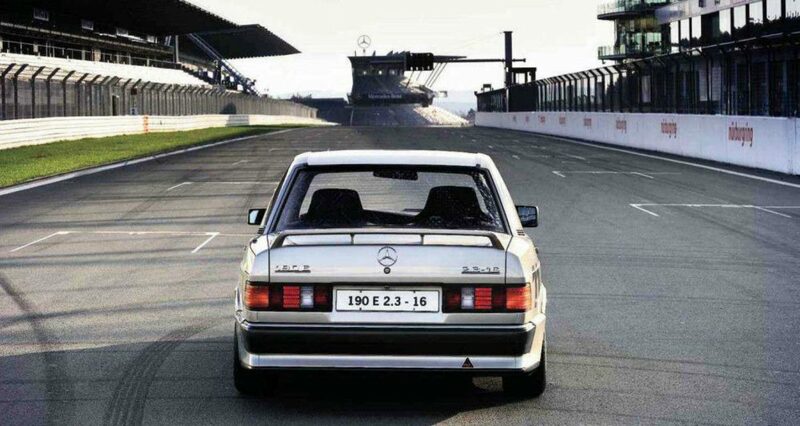 In 1984, that’s exactly what happened—thanks to a strange set of circumstances: the Nürburgring Circuit had been completely revamped, and the powers-that-be decided to hold a grand opening ceremony that included a race filled with current—and former—World Champions. 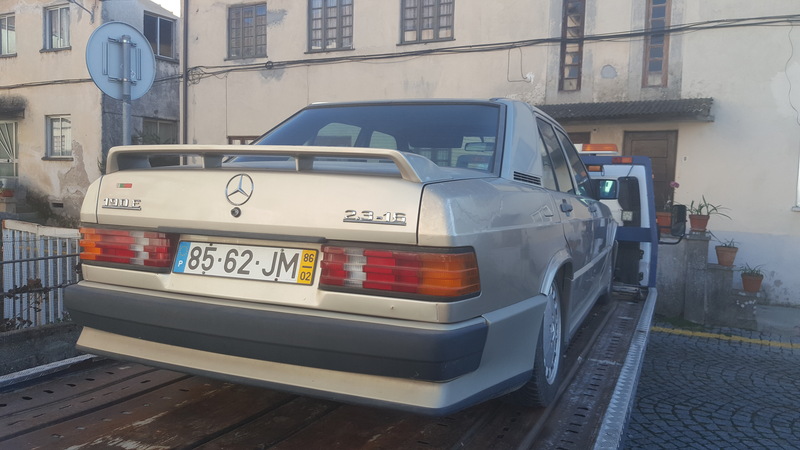 Mercedes-Benz, with its new 190E 2.3-16, stepped up and provided a grid’s worth of cars. 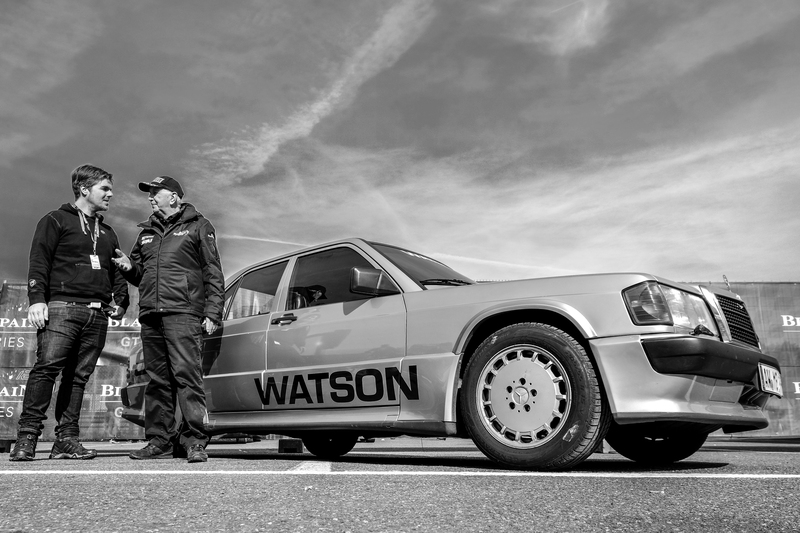 Finding exposure for the car was proving difficult, as the 190E 2.3-16’s engine was developed by Cosworth in the U.K. in order to enter the car into rally competition. 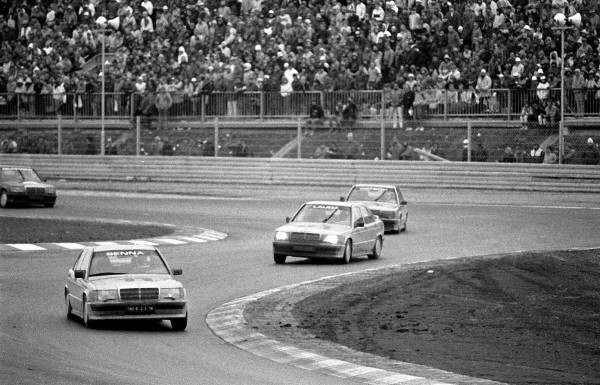 Fearing it would be outclassed by its all-wheel-drive rivals, the car was then reborn as a touring car—perfect for a race of champions! 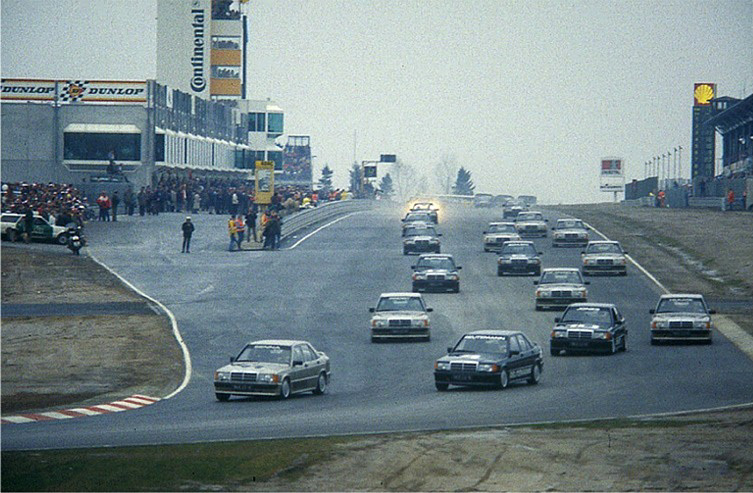 After about two years of rebuilding the track, the smaller and much safer Nürburgring “Grand Prix” Circuit for F1 would re-open next to the traditional and very dangerous Nordschleife “North Loop” toll road and race circuit. 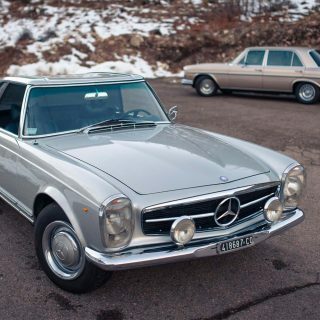 Mercedes-Benz sent around 20 of its newest saloons to the track, complete with about 200 horsepower, a roll cage, and racing seats—everything else on the cars was near-standard equipment. 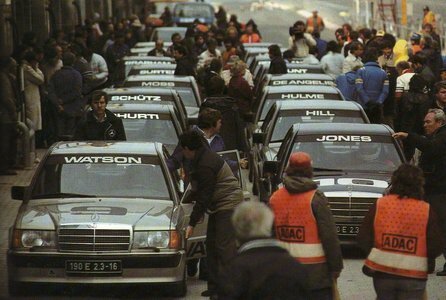 All living F1 champions were invited, and only five did not participate—Senna’s entry to the race was thanks to, depending on who you ask: Emerson Fittipaldi dropping out, a friend at Mercedes-Benz, or a number of other scenarios. But the important thing is that he started the race. Lining up against Senna included names such as Jack Brabham, Phil Hill, John Surtees, Denny Hulme, James Hunt, Alan Jones, Niki Lauda, Alain Prost, Keke Rosberg, Jody Scheckter, Klaus Ludwig, and Stirling Moss—I think you’d agree Senna’s competition was probably stronger in this “fun” race than during an F1 race weekend! 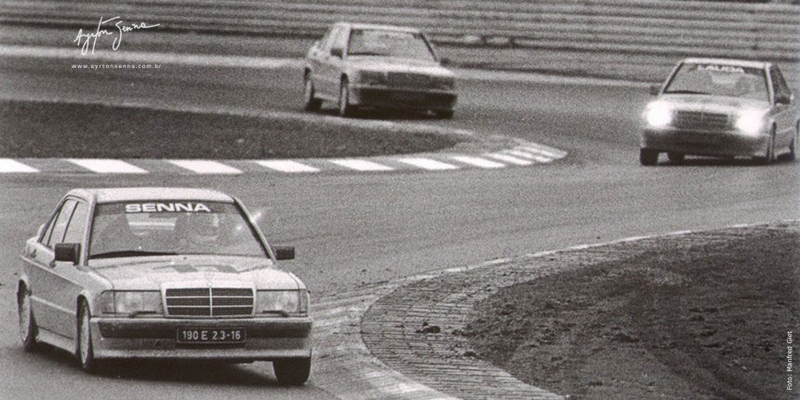 While others were thinking of the race as just fun, Senna used it as a chance to prove himself. 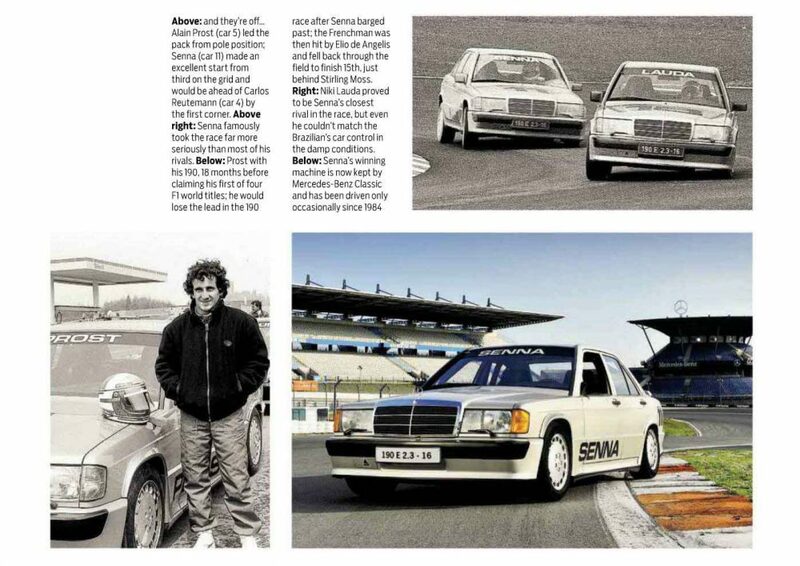 Fun fact: Alain Prost picked Senna up from the airport, driving the Brazilian two hours to the circuit—and this was the first time they met. Prost would capture pole position later that day, with Senna right behind him. The next day, just before the race it started to rain. 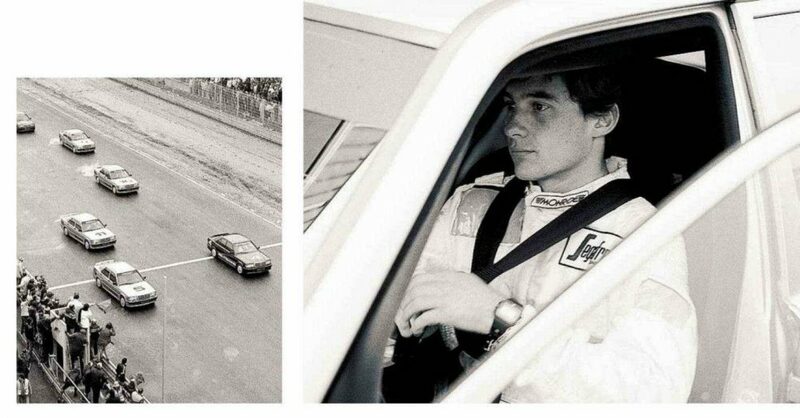 Little did his competition know that the conditions were perfect for Senna. 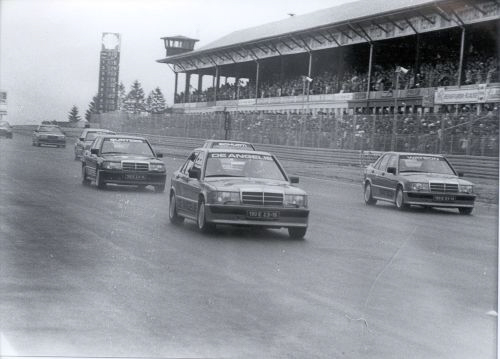 As soon as the race began, it did not take more than half a lap for Senna to capture the lead. While others were making fun and cutting corners, Senna was actually driving flat-out with the car, flying through bends like a stone skipping across water. 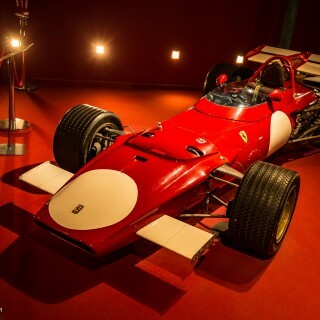 He won that 12 lap race ahead of Niki Lauda, proving himself in equal machinery. Right away, John Surtees is said to have mailed a letter to Enzo Ferrari with the advice to hire Senna, if Enzo wanted to score a future World Champion. To his detriment, Ferrari didn’t take the advice. 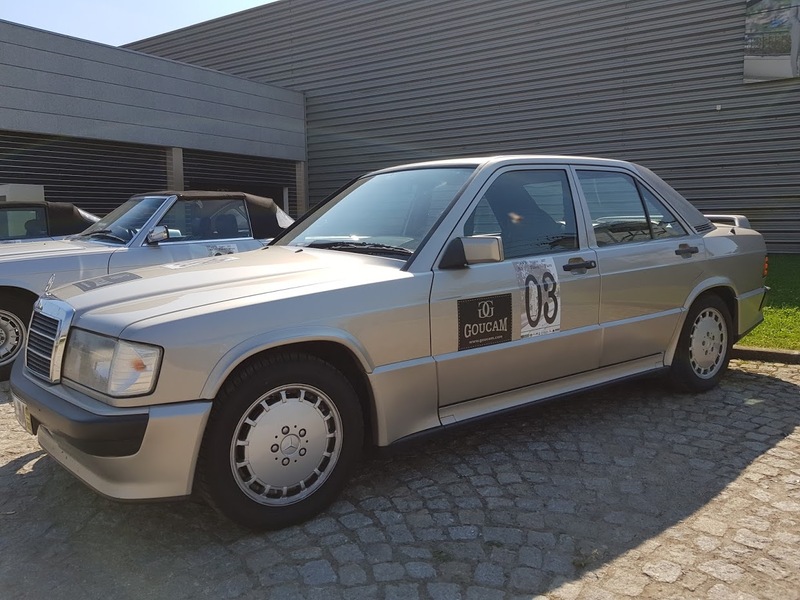 Besides a wreath, the winning car would be retained by Mercedes-Benz and shown in the company museum; apparently, at the time Senna’s victory was an unpopular one—after all, the 24-year-old was still virtually an unknown. 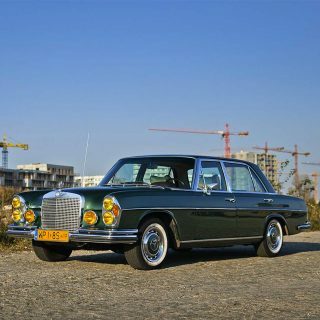 Cooler heads prevailed, and I’m sure Mercedes-Benz is happy that they kept the winning car; it remains at the company museum in Stuttgart to this day. Never did really like Senna when I was younger. Only after his passing at Imola did I start to realize what a genius of a driver he was. He still may not be my favorite driver of all time but his driving skill is definitely second to none. Literally made the car dance on my occasions. 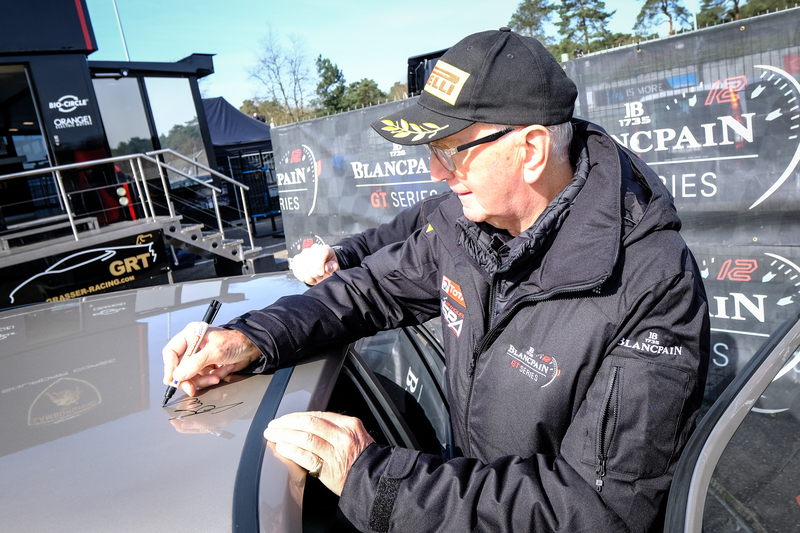 I own the car that John Watson used in that race and he signed it to me this year. If he had not died so young, he would hold all the records. He was the greatest, most naturally talented driver ever. Just watch the videos of the European GP from ’93. 5th to 1st, in one lap, in the rain! 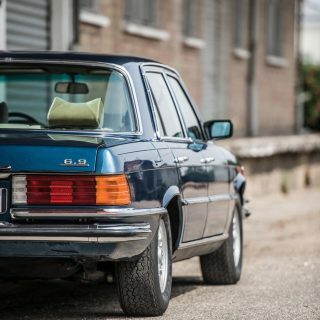 In a car with more power, and, less downforce than F1 cars have now. 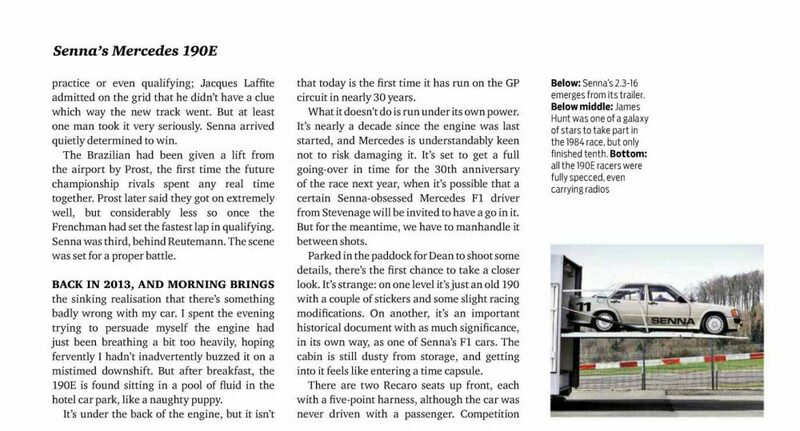 I have heard about this race long time ago but I didn’t know the details, thanks for sharing this fascinating story. As a fellow Brazilian, I will always be proud of Senna, even if he is not my favorite Brazilian race driver. As found and after a complete remake…. Surtees mailed a letter to Enzo? Never heard that story. It seems a bit surprising given the bad terms (not unusual) John left Ferrari under. Thank you Samir. Good times. He was a young gun in that one. I am reading about his life and almost everything he did, I think this was one of the most amazing unknown ones! Great Article!… It is truly astonishing what he did there. I think this part of history was left darkened somehow!